A businessman has been jailed for persistently failing to provide details about his finances during his divorce case. Scot Young says he is bankrupt and penniless but his wife Michelle claims he is a multi-millionaire. He has failed to comply with court orders demanding details about his financial circumstances. High Court judge Mr Justice Moor has now gone a stage further and jailed Young for six months for contempt of court. Mr Justice Moor said: In essence, the husband says he is penniless and bankrupt. The wife, on the other hand, contends that he is a very wealthy man worth up to £400m. She says he has hidden his entire resources to avoid his legitimate obligations towards her and the children. "I make it clear that 1 am not deciding that dispute today. It is, however, equally clear that, to be able to decide where the truth lies, it is vitally important that the husband provides full and frank disclosure of his financial circumstances, to include the relevant documentation to support his contentions." Mr Justice Moor added that Young could purge his contempt by complying with the disclosure orders. The tough approach has been welcomed by many family lawyers who believe it will deter others from wasting time and being obstructive during divorce proceedings. Such tactics rarely work and can make a person's position worse. 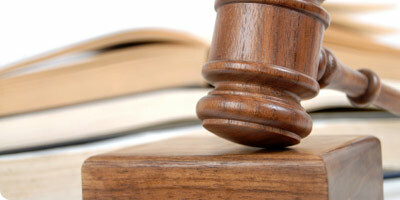 It is far better for both parties in a divorce case to honest and open from the outset.